POLICE have unearthed remains in the search for murdered SA mother Colleen Adams under a concrete slab at her former home at Maitland — 45 years after her disappearance in 1973 and hours after a court heard her husband had admitted to the murder. Police began excavating the site on Thursday morning, a day after they visited the site with Adams’ husband, Geoffrey Adams, who has been charged with murder. Major Crime Investigation Branch officer-in-charge Detective Superintendent Des Bray said police located remains about 1pm on Thursday. “She was in the area indicated to us and discovered about one hour ago and we’ve made the necessary notifications since then,” Det-Supt Bray said. The discovery came a short time before the couple’s youngest daughter, Kaye, delivered a statement to the media through victim contact officer Debbie Gibson. “Today I have finally found my mother,” the statement said. “After 45 years of hoping, we have found her. Kaye, who was 18 months old when her mother vanished, said she is thankful that the truth has come out, and she has now put her faith in the legal system. “I want today to also be one of inspiration to all those who live with cold cases, lost loved ones, not knowing what has happened,” she said. Police arrested 70-year-old Geoffrey Adams at his Wallaroo home on Wednesday afternoon, before travelling with him to the property at Maitland, on the Yorke Peninsula, where the couple lived with their children. During a brief court appearance on Thursday, Adams, who wore a dark jumper, made no application for bail through his lawyer Andrew English. Police prosecutor acting Sergeant Frank Jakacic told the court Adams had confessed. “(Adams) did admit to the crime that he has been charged with,” Sgt Jakacic said. Magistrate Ian White described the case “unusual” because Adams’ court appearance was coinciding with an active police investigation. Adams was remanded in custody to face Elizabeth Magistrates Court on October 5. The victim’s sister, Heather Johncock, said she was “relieved’ the remains had been found. “It concludes everything,’’ Ms Johncock said. While she always hoped the mystery would one day be solved, she was never confident it would be. “I honestly didn’t know,” she said. “I thought he (Geoffrey Adams) would pass on before we got answers to be quite honest. “I think in the end he knew, one way or the other, they were going to find her. It would have been a lot easier on everyone if he had done this (admitted the crime) decades ago. “Just keep on looking, never give up hope and looking for answers,’’ she said. “Just keep on going over things in your mind and remember things to help the police, it also helps you cope and get through,’’ she said. Mrs Adams’ niece, Tina Millbank, 48, said it was a bittersweet day for family and that she felt some justice. She said her father, Garry Millbank, never believed his sister ran away and always had a feeling she was hidden on the property. Ms Millbank said her father — who died in 2009 at 62 — would be overjoyed by the discovery. “He’d be rapt, it’s happy tears and sad tears of course because my dad is not here to see it all. The property was cordoned off as a crime scene and covered with a tent on Wednesday night, and was briefly opened on Thursday morning before police began their dig. Adams previously told police he woke about 7am on November 22, 1973, to find Mrs Adams fully dressed with two packed suitcases. For almost 45 years, Mrs Adams’ remains appear to have been buried beneath a cold, concrete slab. A crime scene investigator shovels dirt into a wheelbarrow as police dig for the remains of murdered mum Colleen Adams, who disappeared in 1973. Photo: AAP Image/David Mariuz. During that time, her husband repeatedly maintained she had left him one morning in November 1973 — despite police gathering an abundance of information that suggested otherwise. Just after 2pm on Wednesday, Adams relented and finally told Major Crime detectives where to search for his wife. Det-Supt Bray said the breakthrough followed days of intensive work by detectives at Maitland, Wallaroo and other locations on Yorke Peninsula. On Thursday morning, Det-Supt Bray told Channel 9 he was confident Mrs Adams’ remains would be found today. “The search was due to escalate yesterday (Wednesday) when we got the breakthrough from the suspect and he agreed to co-operate and identify the area,” he told the Today Show. On 19 December 1973, Colleen Adams (then aged 24 years) was reported missing to Police by her parents after they were advised by her husband Geoffrey Adams that she had left the family home 5 weeks earlier. At the time of her disappearance, Colleen was residing with her husband and their two young children aged 3½ years and 18 months at an address in Bagnall Street Maitland. 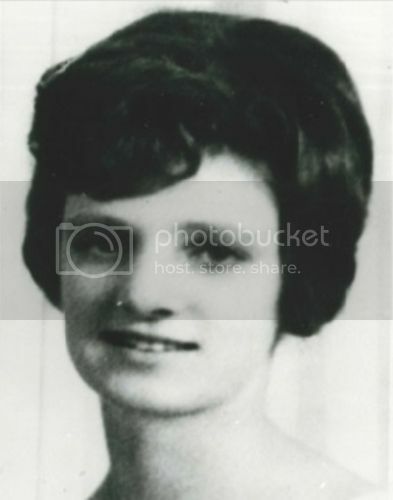 Colleen was reportedly last seen by her husband on the morning of 22 November 1973 when she left in a vehicle being driven by an unidentified middle-aged female. She has not been seen or heard from since this date and has not been in contact with her parents or children. Colleen's disappearance was declared a major crime in 1979. Police suspect she has been murdered. If you have information that may assist police to locate Colleen, please call Crime Stoppers on 1800 333 000. In 1973 young Yorke Peninsula mother-of-two Colleen Adams vanished. Her husband told police he saw her get into a car with a middle-aged woman he didn’t know and drive off, never to be seen again. Unfortunately SA Police investigators do not believe Mrs Adams is still alive, however they have not given up hope of providing her family with some answers about her disappearance. The 45-year-old investigation and case file is currently the subject of a full review as part of Operation Persist - a SA Police campaign by Major Crime Investigation Branch focused on the resolution of cold case murders. In this case Mrs Adams, who would be 68-years-old if she was alive today, has been missing from Maitland since late 1973. Her husband Geoff told police that about 7am on 22 November he woke up to find his wife fully-dressed and with two packed suitcases. He said the 24-year-old told him she was leaving and never wanted to see him, or their two children – aged three-and-a-half and 18-months - again, before getting in a car with a woman he did not know and leaving. She was ultimately reported missing by her mother about a month later due to her continuing concerns about the situation and ongoing lack of contact from her daughter. In 1974 Major Crime detectives attended the area, and in 1979 the disappearance of the doting mother was declared a Major Crime as there had been no sign of her – no contact made, no bank accounts touched. “She was raised locally, her family lived locally, in fact as far as we are aware she didn’t know anyone outside of the Yorke Peninsula area,” Major Crime investigator Brevet Sergeant Michael Newbury said. Investigators at the time spoke with Mrs Adams family, friends and neighbours, finding that her marriage seemed happy at first, but there were increasing signs of dysfunction following the birth of the couple’s first child. Police know that she spoke with people about ‘having to be out of the house by November’, but have no clarity around why, and that a few days before she disappeared she closed her bank account, taking her entire life savings of $41.14. While not a well-known case outside the area, the disappearance of Mrs Adams has remained topical in the Yorke Peninsula community leading to regular phone calls to police with numerous tips which have all been fully investigated over the years. In 2001 information led to police searching a private rubbish tip in the area, but no trace of Mrs Adams was located. “The passing of time doesn’t help but we are unrelenting in our pursuit of finding out what happened,” Brevet Sergeant Newbury said. “This was a big deal in a small community so I’m sure people will have a clear recollection of matters. “There may be people in the community who did not speak to police at the time who know about this family and Colleen’s life, and we would ask those people to get in touch. A $200,000 reward is available for anyone providing information which leads to the recovery of Mrs Adam’s remains, or the arrest and conviction of the person responsible for her suspected murder. ACCORDING to her husband, Colleen Adams walked out the front door of their modest Yorke Peninsula home moments after telling him their marriage was over. Carrying two suitcases containing her belongings, he has told detectives she got into a vehicle driven by another woman and they drove off. That was just after 7am on November 22, 1973. Ms Adams, 24, has never been seen again. While Geoffrey Adams has repeated the same account to detectives each time he has been interviewed, it appears at odds with the information they have gathered. While it appears the couple were having marital issues, a plethora of indicators suggest Ms Adams was not planning to leave their Maitland home. She had been planning for Christmas, even telling her younger sister, Heather Johncock, in a letter written shortly before she vanished that she had bought a “special” gift for her husband. But even more tellingly, Ms Adams loved her two children dearly. Her life revolved around her girls, Marie and Kaye, and, according to her family, she would never abandon them. Kaye was just 18 months old and Marie, 3. Major Crime case officer Detective Brevet Sergeant Michael Newbury is conducting fresh inquiries in the case following a comprehensive review of the file. “We have an open mind as to what has happened and how it has happened, but we are of the opinion Colleen has been murdered,’’ he said. While the case is complex and has presented detectives with many contradictions, there is significant information that she did not leave voluntarily. While on his account Mr Adams was the last person to see Colleen, he never reported her missing. On December 19 — 27 days after she vanished — her mother, Vera Milbank, lodged a missing-person report with police. Police investigations have discovered information which suggests the couple’s marriage may have been under strain in the months leading up to her disappearance. Neighbours reported loud arguments and Ms Adams had spoken of such issues in letters to relatives. The pair married in late 1969 when Ms Adams was aged 20. They had met just a year earlier. He was a Maitland local while she grew up at Bute, in the Mid North. Mr Adams was employed by a local painter and his social circle involved the local Lodge group, while Ms Adams had no friends outside of the Yorke Peninsula community. Her life revolved around her two daughters and extended family. Det Bvt Sgt Newbury said Mr Adams had consistently maintained each time he was interviewed that his wife left their Bagnall Ave house voluntarily. “Geoffrey has told us he was out the night before at a Lodge meeting and she was at home with the children,’’ he said. “He said he went to bed about midnight, woke at 7 the next morning to find her dressed, packed with two suitcases and ready to leave. “He said it took him by surprise. He said at that point she told him she wanted nothing more to do with him or the children. “He said she made disparaging remarks towards the children, she walked out, and there was a woman aged about 40 in a vehicle. He said he had never seen her or the vehicle before. NOT surprisingly, Ms Adams’ mother had immediate concerns about her daughter’s welfare. When she lodged the missing person report on December 19, she told police Ms Adams hadn’t told anyone she was leaving and her behaviour was completely out of character. In 1974, detectives made some follow-up inquiries in Maitland and Adelaide but could not locate Ms Adams. The file remained an open missing person report until 1979 when the case was declared a major crime because there was no trace of her and she had made no contact with any family. At that time, Major Crime detectives spent several months in Maitland and Wallaroo, where Mr Adams was living, interviewing people over Ms Adams’ disappearance. It was during these inquiries some light was shed on the mystery as people spoken to by police voiced their concerns about the Adams’ relationship. “They said the relationship was dysfunctional,’’ Det Bvt Sgt Newbury said. “The marriage appeared happy at first, but possibly around the birth of the first child it started to fall apart. Neighbours had also reported “yelling and screaming’’ coming from the house with many of the witnesses stating “there was significant unrest in the relationship’’. Detectives discovered Ms Adams had told several friends she was under the impression she had to be out of the marital house by November 1973. Mr Adams had also mentioned this to his friends. “It’s quite clear from the different reports that came in that November was the deadline,” Det Bvt Sgt Newbury said. Investigations also revealed Ms Adams went to a welfare officer on November 1, 1973, and said Mr Adams was “trying to kick her out of the house’’. “She was concerned about that; she had two children she couldn’t support and she had no income,’’ Det Bvt Sgt Newbury said. “That was the extent of her concern, like ‘What do I do and what are my rights?’ because she did not know where this was heading. Curiously, on November 14, Ms Adams attended her local bank and withdrew her savings — $41.14 — and closed the account. “To this day we don’t know why. It could be a complete coincidence. She attended in person, her signature was verified by the clerk,’’ Det Bvt Sgt Newbury said. PERHAPS the last clue came the week before she vanished. In her last letter to her sister, Heather, Ms Adams gave an insight into the instability of her marriage and her wariness of her husband. “Every think (sic) down this way is coming along fine long at last he is starting to come to his senses which I didn’t think he had any, so everythink (sic) is back to its old self once again,’’ the letter stated. In other letters to Heather, Ms Adams speaks tirelessly about her children and how she adores them. “There is letter after letter after letter talking about “my babies’’ and how they are crawling, getting nappies, their teeth are coming through,’’ Det Bvt Sgt Newbury said. “That is the concern all the relatives had. Adding to police suspicions, Ms Adams had told friends she had ordered an expensive Christmas present for her husband and Tupperware for Heather for Christmas. Information police have suggests Ms Adams loved her children and she was getting ready for Christmas — both inconsistent with actions of a mother about to leave. THE investigation remained static until 2001 when Major Crime received information from a local that Ms Adams’ remains may have been disposed of at a private rubbish dump on nearby Port Clinton Rd. An extensive searched found nothing. Likewise, false sightings and various rumours have all been investigated and discounted over the years. Despite the passage of time, detectives believe it is likely there are people who may know what happened but have not contacted them. “It’s rare to have a homicide where the offender has not confided in somebody,’’ Det Bvt Sgt Newbury said. “Some of these people would now be elderly but they may well have knowledge of the Adams’ relationship at that time. Mr Adams could not be contacted. ■ A $200,000 reward for information is available.